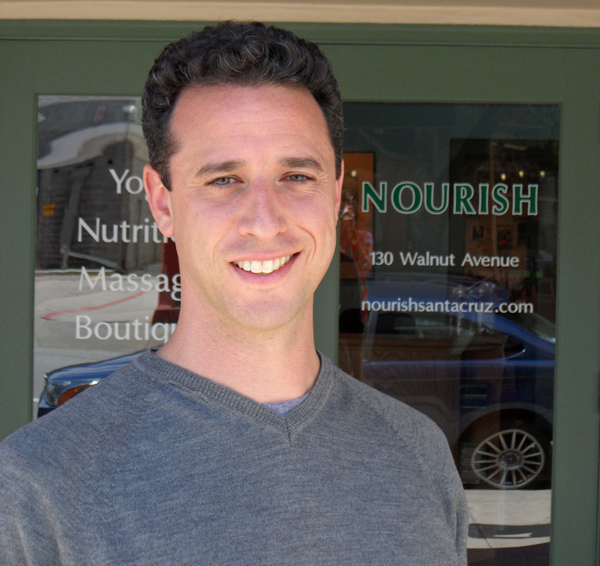 The NOURISH Yoga Teacher Training Program is supervised and all courses are taught by Victor Dubin, ERYT 500. Victor has been teaching in Santa Cruz for 18 years, has been named Best Yoga Instructor in both Good Times and Santa Cruz Weekly newspapers and is co-founder of NOURISH. Graduates of Victor's teacher training programs teach yoga in Santa Cruz and around the world. "Victor is really the best yoga instructor that I ever had and the price for yoga is the best price that you can find in Santa Cruz. I really love this place and really recommend this place to everyone!!" "Victor Dubin's 200-hour yoga teacher training program is a well organized continuous cycle of classes. Allowing students to begin the program anywhere in the cycle, also allowing students to make up a module if needed. Pay as you go, two classes a week, this program is very practical-no need to rearrange one's life. Victor's vast knowledge of the Yoga practice shines with his passion and high quality of teaching. His "nondenominational' approach to yoga is not only inspiring its life changing, truly allowing students to learn how unique all bodies are. Not only did I become a confident Yoga teacher I found a safe community for in depth self exploration leading to self discovery. I recommend this teacher training to anyone and everyone! Being a member of the Nourish community is heart opening. Nourish to promote growth~ "